Immediately after being sworn in to the U.S. House of Representatives from California’s 32nd District in July 2009, Congresswoman Judy Chu wasted no time in getting to work on behalf of her constituents. Her first task on Capitol Hill was voting on a number of important environmental bills. 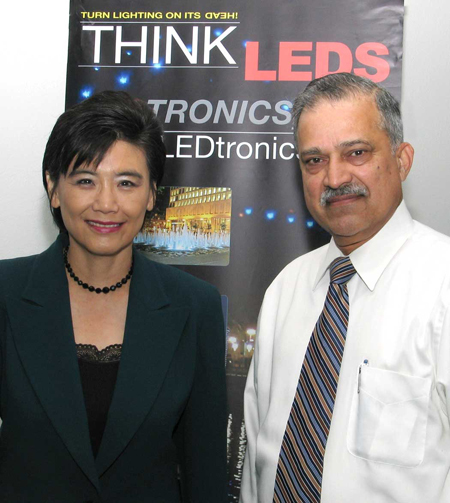 It is this personal commitment to ecological issues and concern for America’s energy future that led Dr. Chu to confer with executives and engineers of solid-state lighting pioneer LEDtronics, Inc., to discuss and gain some insight into the technological advances in LED and the tremendous contributions LED lighting applications might bring to energy conservation on a national level.